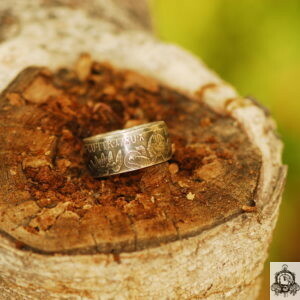 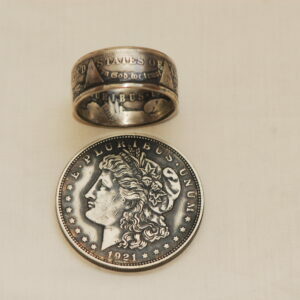 This Double Sided Silver Coin Ring was handmade from a 90% Silver US Peace Dollar Coin, minted in 1922. 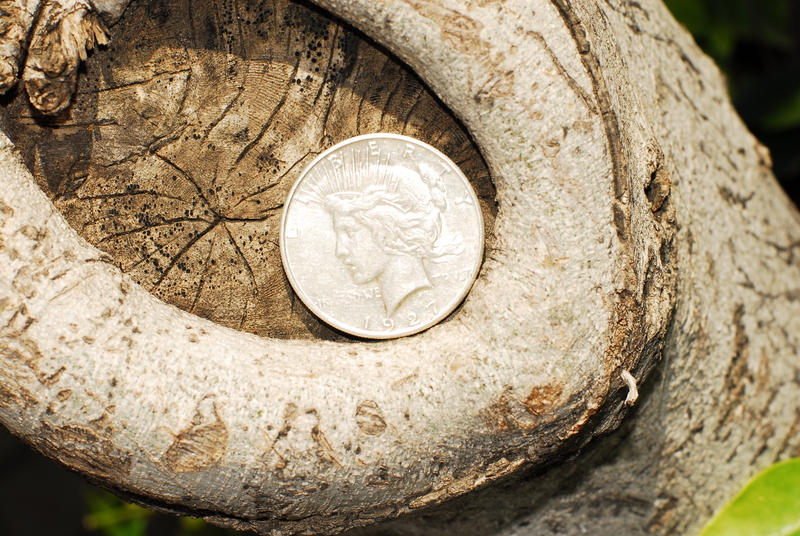 Circulated coins were used in common every day use as legal tender. 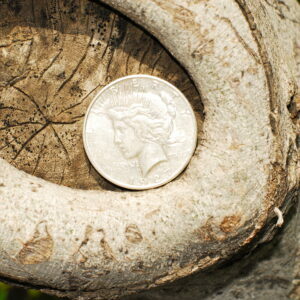 Therefore have more wear than un-circulated coins. 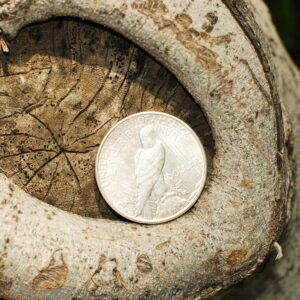 Age: Generally the older the coin the more valuable considering the point above. 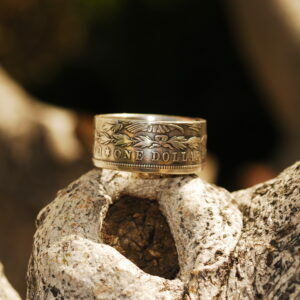 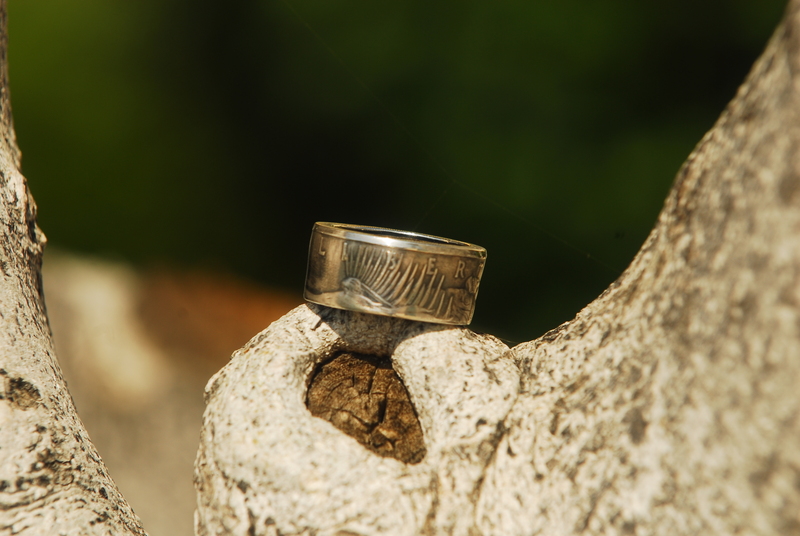 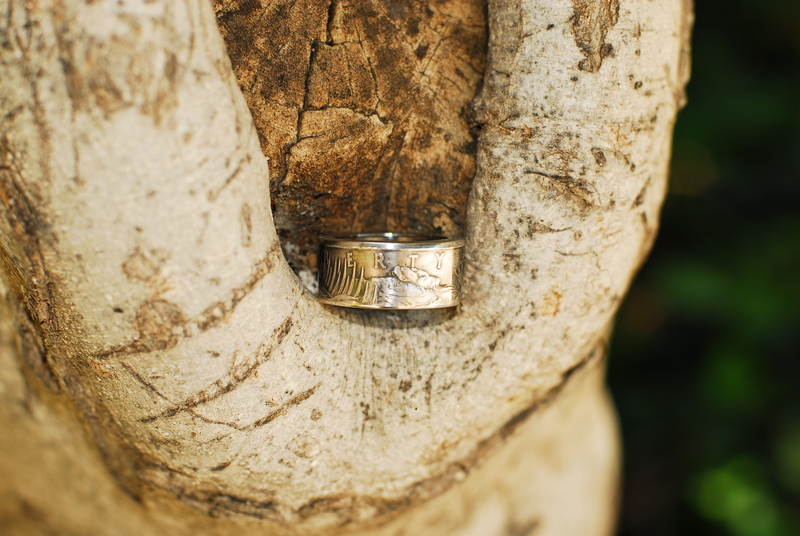 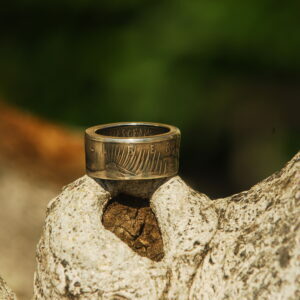 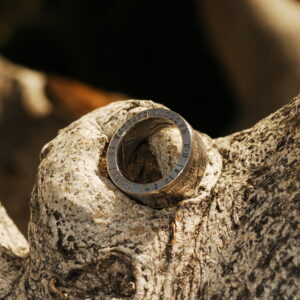 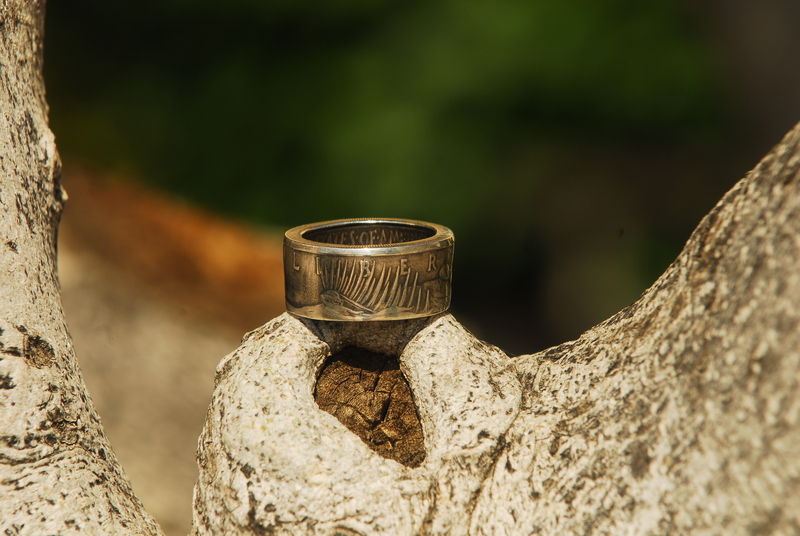 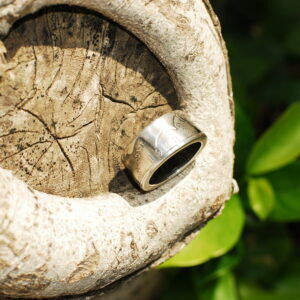 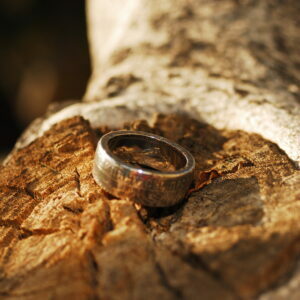 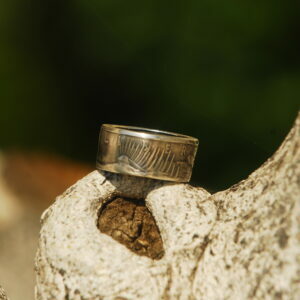 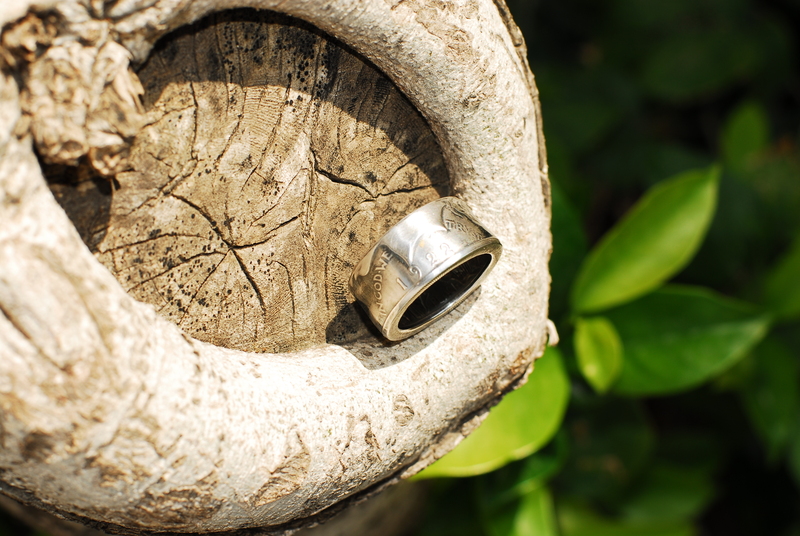 Rings can be reversed at clients request, to show either side of the coin on the outside. 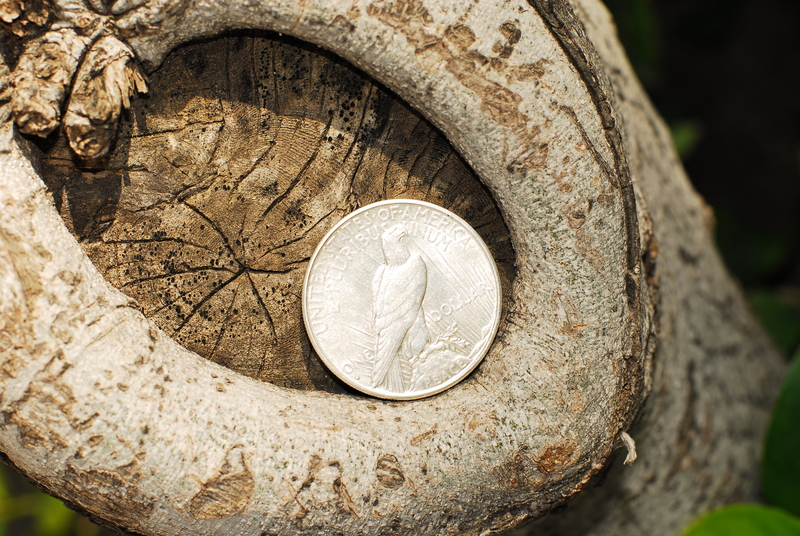 The size of the hole in the coin. 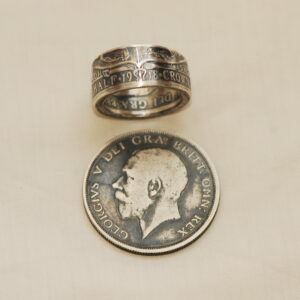 The reduced size of the band when extruding the ring. 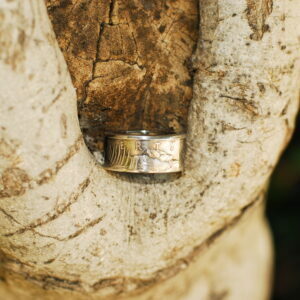 If it is a straight band or a curved band.